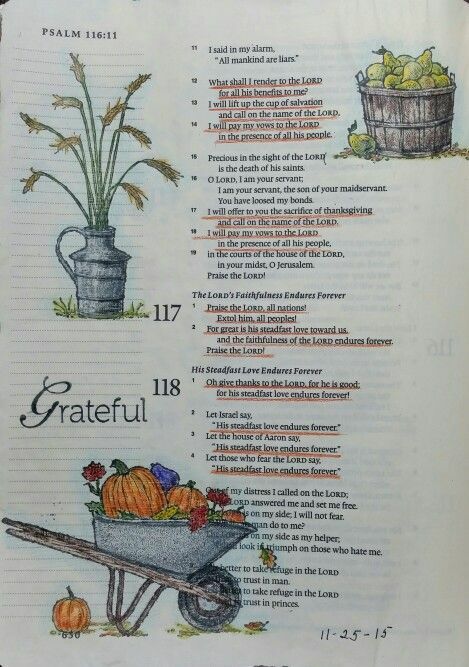 In last week's blog post we talked about Gratitude Journals. 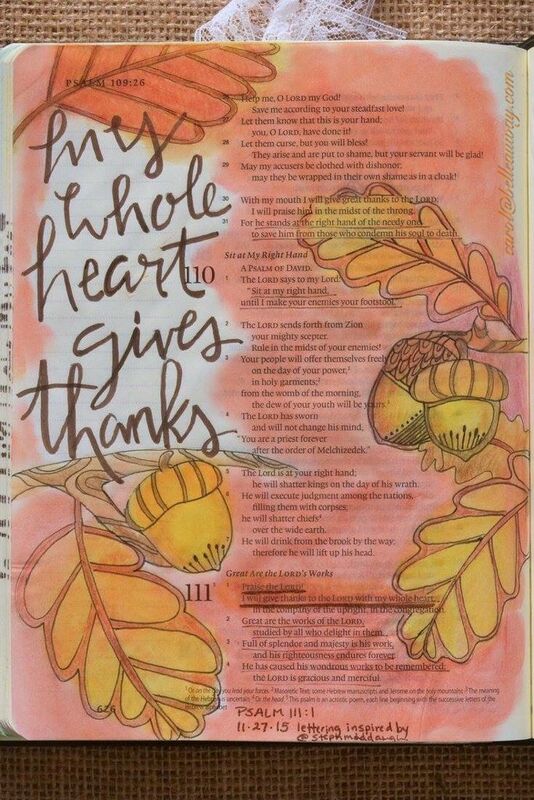 This week we are continuing with the "creating with gratitude" theme and exploring bible journaling with themes of Thanksgiving and Gratitude. If Bible Journaling is a new concept to you, be sure to check out our "What is Bible Journaling" blog post we shared last year. You can also click on the "Bible Journaling" Category in the right hand column to see all of our blog posts containing bible journaling information or images. 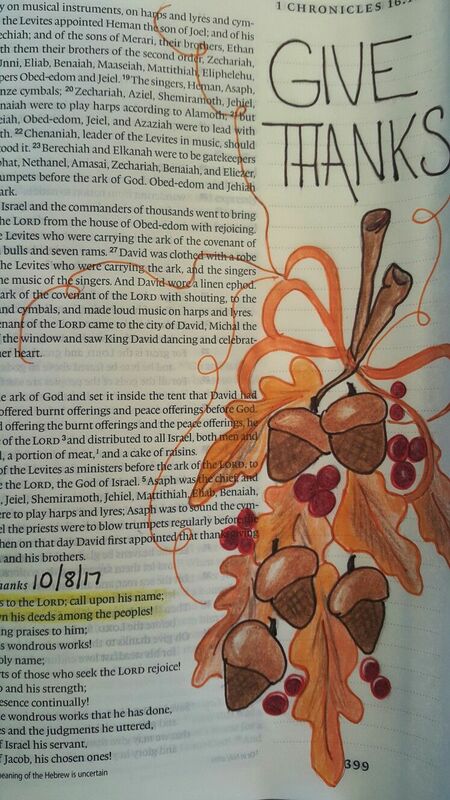 It makes perfect sense to focus on thanksgiving and gratitude while bible journaling this time of year. Afterall, Thanksgiving is only two weeks from today! Sometimes it can be a little hard to determine which verses to focus on though. Below is a summary of some great verses to study and create with. If you need some gorgeous crafty inspiration to get going, well, look no further than below. 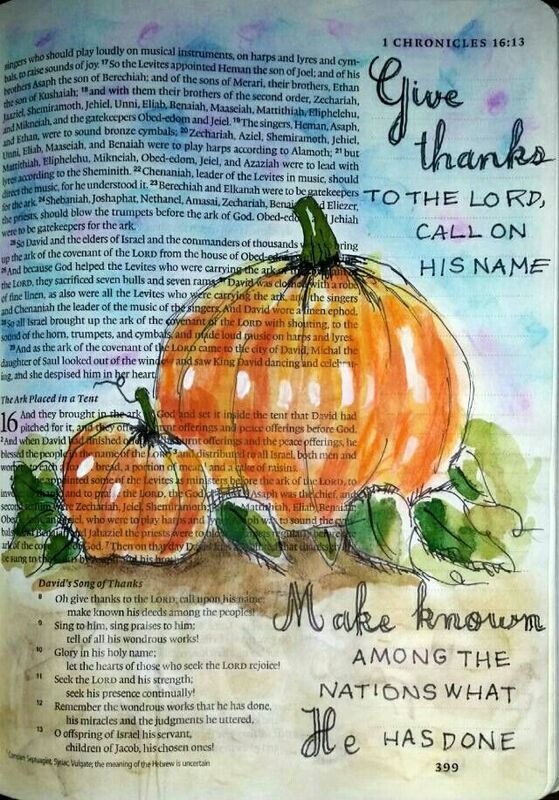 Palette & Paper carries a variety of items that can be use in Bible Journaling - Ranger Distress Inks and Distress Oxide Inks, Micron Pens, Autumn/Fall/Thanksgiving washi tape, ephemera, stickers, journaling cards to make tip-ins with and so much more! If you are still not familiar with Bible verses, this might be the perfect book that you should read in order for you to be familiar with the Bible verses that will serves as a guide for you if you are planning to change your lifestyle. A lot of people have been seeking for guidance from God, and reading the Bible should always be your priority among your choices. We all know that we will never go wrong with God so we must surround ourselves with positive vibes and guidance from God!